I hope the last scene of Breaking Bad is that DEA guy letting him out of that house. "Roof Pizza" and "Aztek bowling"
My natural reaction to this kind of thing is to say that the guy is clearly over thinking the show. But on the other hand that Hank timeline works out pretty convincingly. Hmm I can't really get excited by the idea of Yet Another Cop Show just sort of on principle. But CBS also seems pretty willing to roll over and let him do whatever the hell he wants with it based on that so it could actually be fun lol. most of the characters are dead or have skipped town. walt's carrying baby holly away from a massacre, thinking he's going to get away with everything, when walt jr hobbles in carrying a gun. walt stops, puts holly down, and says "walter jr, now, now just put that gun down. you don't know what you doing. you're—you're sick." suddenly, junior shoots him in the leg and walt hits the floor. junior throws his crutches down and begins to saunter toward walt, his posture getting straighter and straighter as he moves. by the time he reaches walt, all traces of his so-called cerebral palsy have disappeared from his face and body. he leans down, as walt cowers in surprise and fear, and whispers, "all this time, your greatest adversary has been right under your nose, but you were too stupid to realize it." he pauses, giving walt a chance to see him as he really is, then says, "and by the way, my name ... is flynn." he shoots his father in the face, then picks up holly and walks away, grinning. finale today!! my prediction for how it will end: most of the characters are dead or have skipped town. walt's carrying baby holly away from a massacre, thinking he's going to get away with everything, when walt jr hobbles in carrying a gun. walt stops, puts holly down, and says "walter jr, now, now just put that gun down. you don't know what you doing. you're—you're sick." suddenly, junior shoots him in the leg and walt hits the floor. junior throws his crutches down and begins to saunter toward walt, his posture getting straighter and straighter as he moves. by the time he reaches walt, all traces of his so-called cerebral palsy have disappeared from his face and body. he leans down, as walt cowers in surprise and fear, and whispers, "all this time, your greatest adversary has been right under your nose, but you were too stupid to realize it." he pauses, giving walt a chance to see him as he really is, then says, "and by the way, my name ... is flynn." he shoots his father in the face, then picks up holly and walks away, grinning. well, what do you think? I think Colorado has some great weed if it got your imagination going like that. I laughed so hard when Badger and Skinny Pete unmasked themselves. Well guys, it's all over. What a show. Gonna be a while before something tops or matches this. fantastic. thought it was perfect tbh. 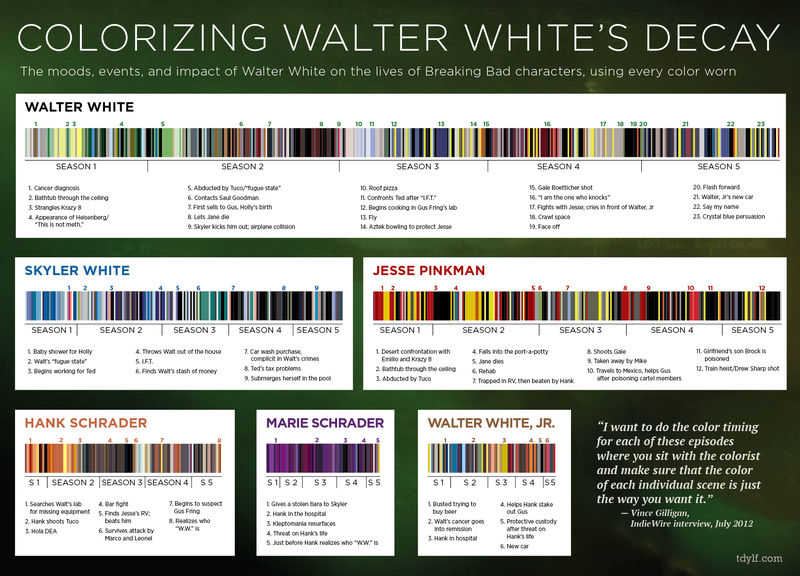 glad to see jesse realize he didn't need to kill walt, and that he went free. The Badfinger song at the end was kind of a curve ball, though. Haha.